Sheaffer puts pen to paper on National Stationery Week sponsorship. Following six years of sponsorship of the UK’s biggest consumer retail campaign, Sheaffer has once again put pen to paper on a deal to sponsor National Stationery Week. Leading the writing instruments and giftware market for over a century, Sheaffer will continue to be a shining light for the industry by sponsoring the renowned event, which takes place 24th April to 30th April 2017. 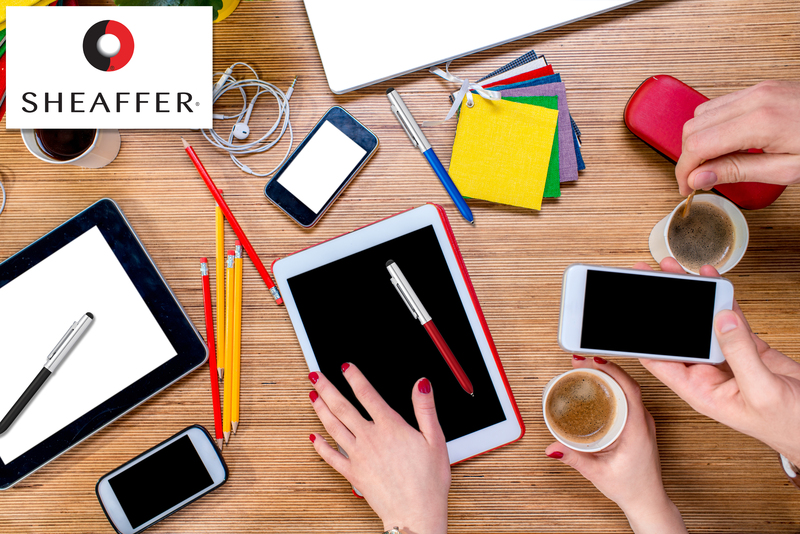 The signing of the deal marks a headline for Sheaffer, with the launch of three new product developments, including the brand’s first multi-function pen in the Quattro, and a further extension to their range of pens with Italian giant Ferrari in 2016. World Stationery Day, which always occurs on the Wednesday of National Stationery Week, will be of particular interest to the world-renowned brand, who were formed in Connecticut in 1913. “Sponsoring National Stationery Week again provides us with the opportunity to re-engage with consumers in a meaningful way. The campaign is a fantastic way to get our products in front consumers, as well as celebrating the best of our industry. National Stationery Week is a celebration of the written word and all things stationery, encouraging people across the world to continue to celebrate the art of writing by hand. 2017 marks the sixth National Stationery Week, with brands and consumers becoming more engaged than before, with the involvement of celebrities, events run by high-profile brands and an ever-growing online community continuing to make headlines the world over. With half a million pounds worth of coverage in 2016 from national media outlets, influential bloggers and drive time radio shows, Sheaffer can look forward to further successes alongside the unique opportunity in 2017. “The campaign is conducive to an ever-expanding industry, with the market supposedly expanding its worth to $226.2 billion by 2020. “The Sheaffer team have seen that National Stationery Week is the ideal opportunity to present product to consumers in an engaging and varied manner. We look forward to working with them in 2017.